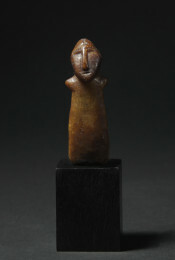 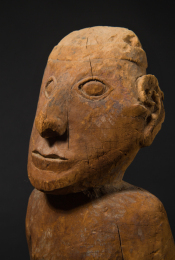 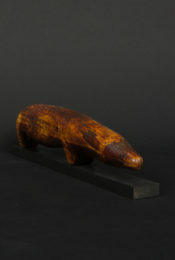 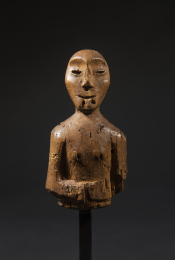 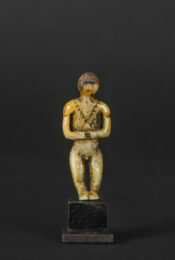 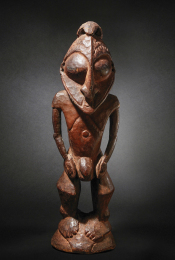 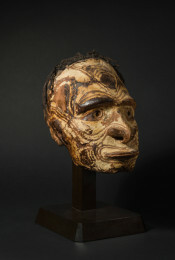 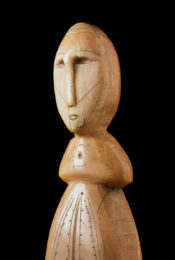 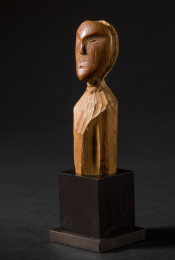 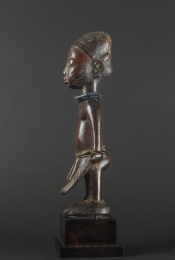 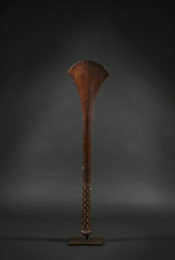 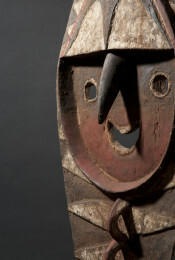 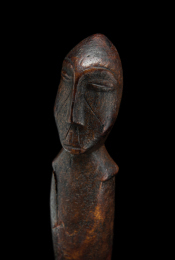 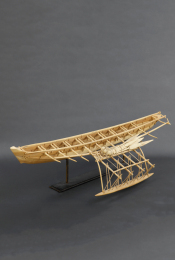 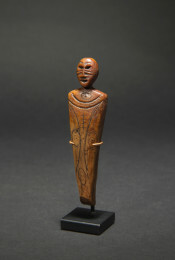 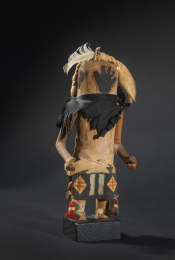 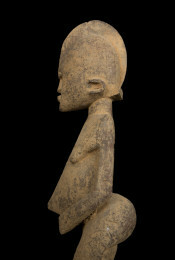 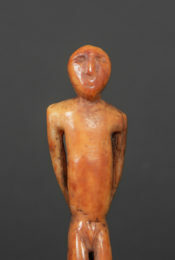 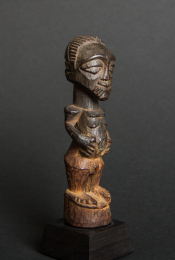 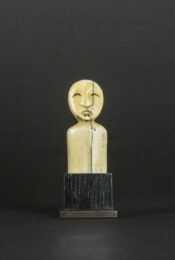 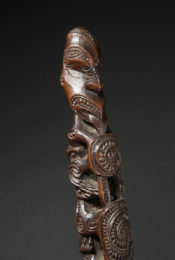 This carved figure is a representation of the Maori people’s original ancestor. 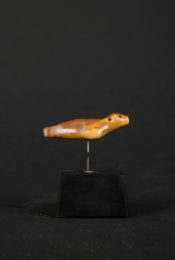 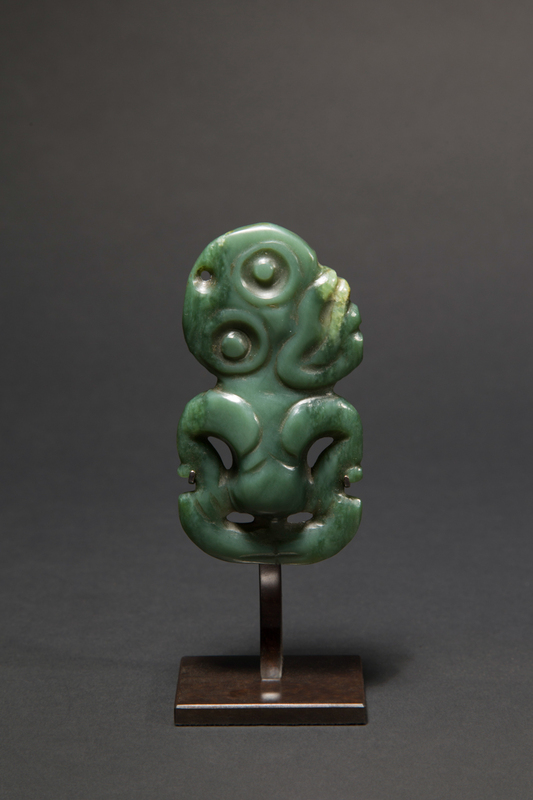 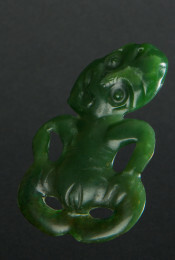 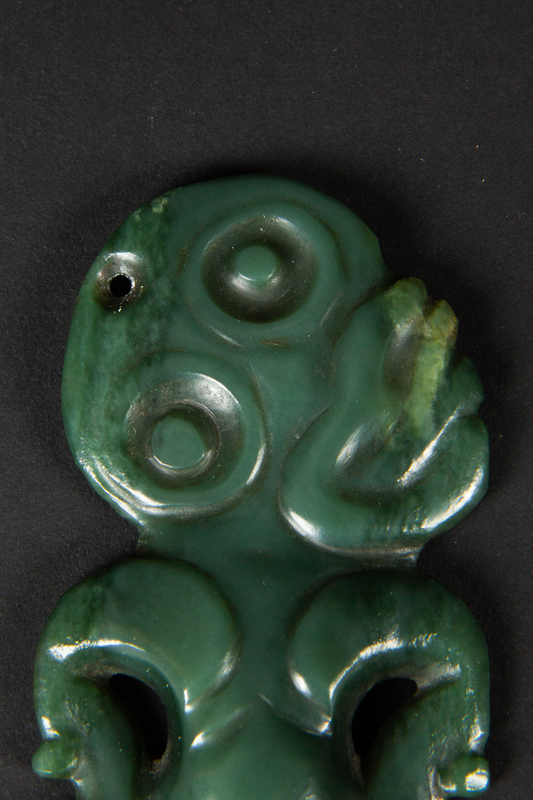 This Hei Tiki pendant was carved in a superb piece of nephrite (pounamu in the Maori language). 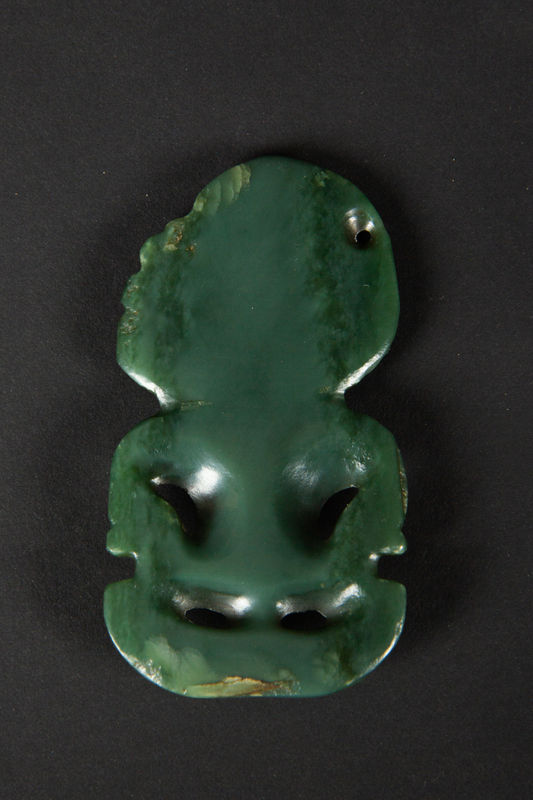 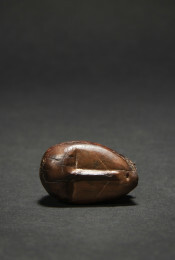 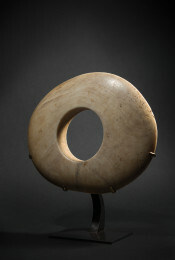 This stone, which is found only on the South Island of New Zealand, was a prestigious material and particularly prized by the Maori for its hardness and its color. 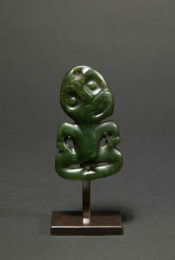 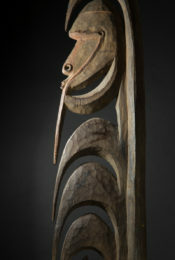 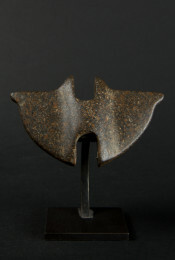 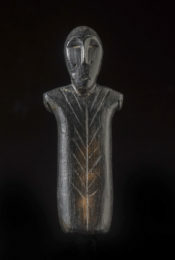 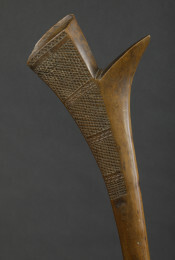 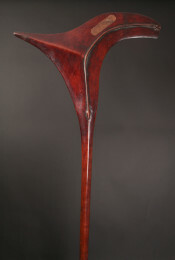 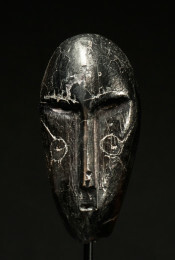 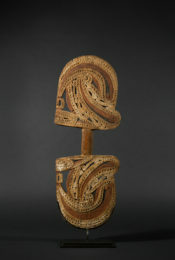 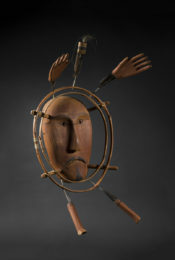 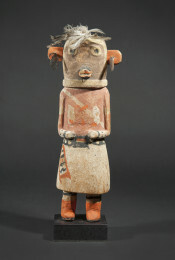 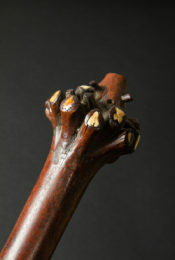 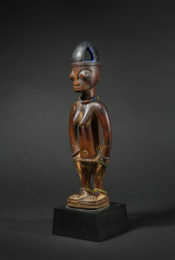 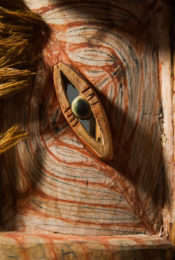 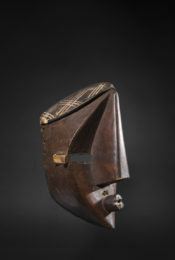 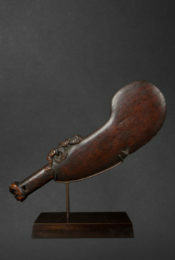 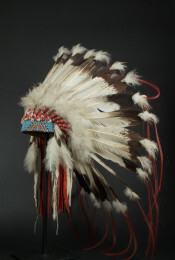 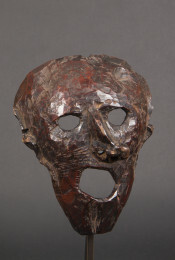 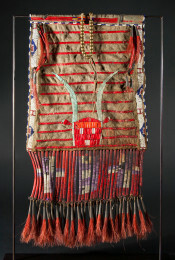 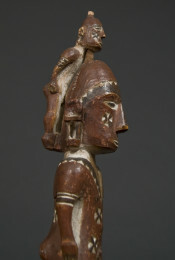 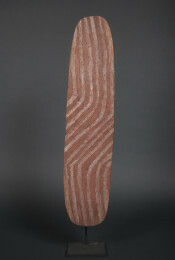 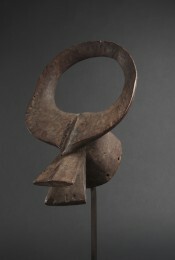 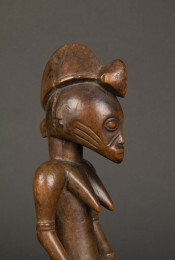 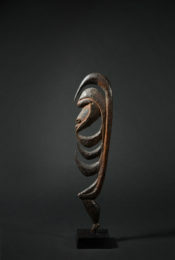 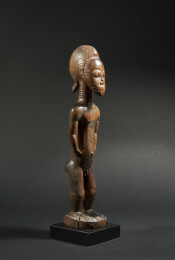 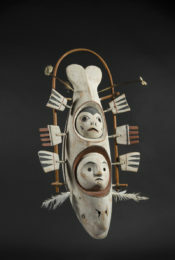 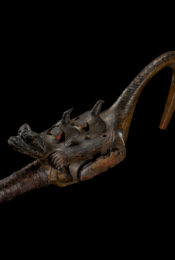 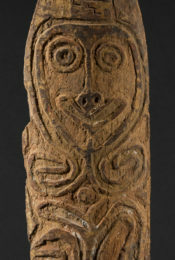 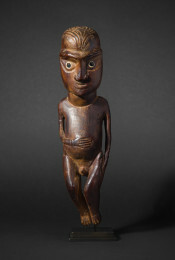 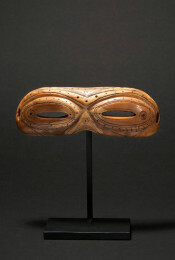 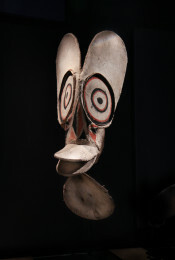 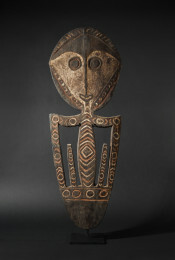 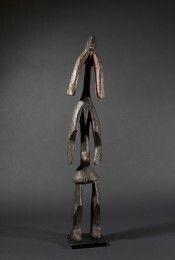 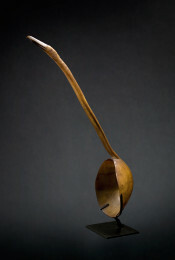 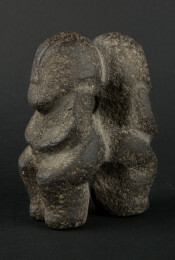 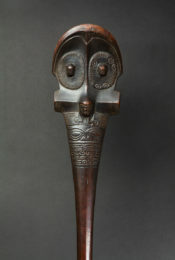 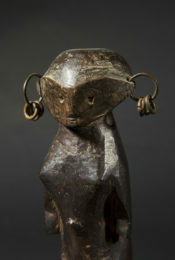 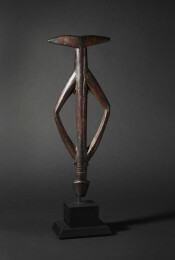 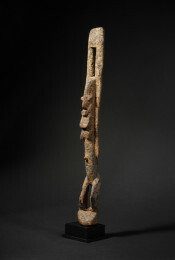 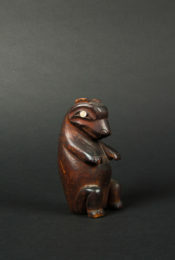 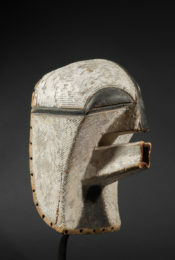 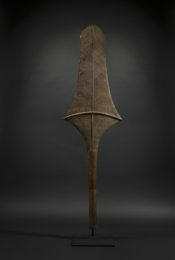 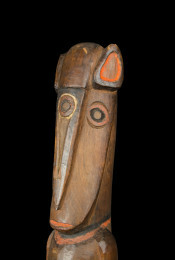 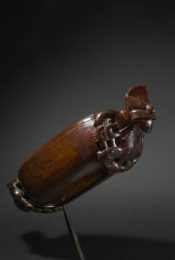 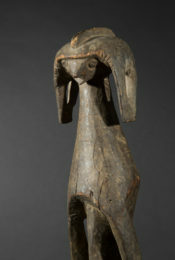 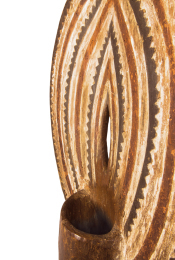 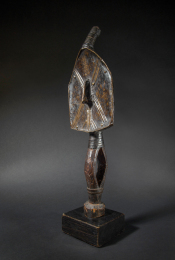 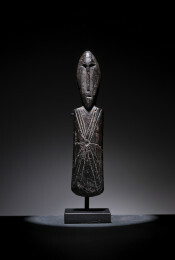 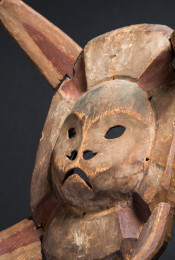 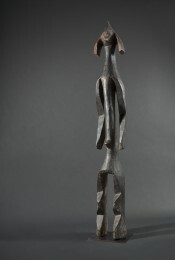 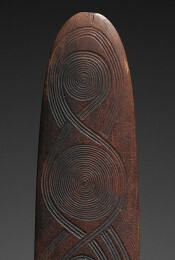 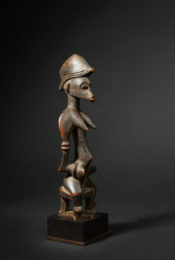 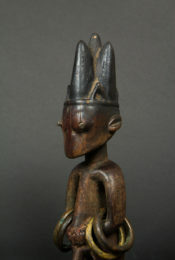 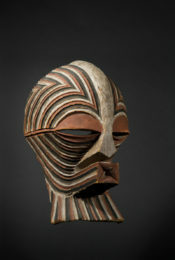 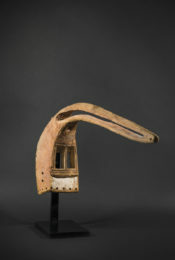 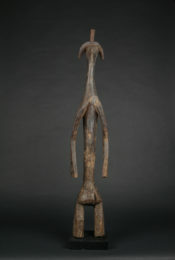 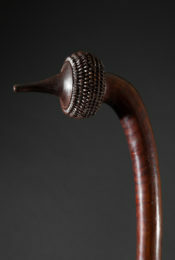 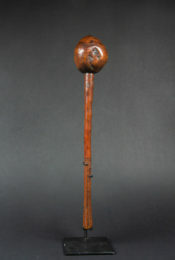 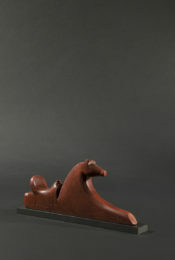 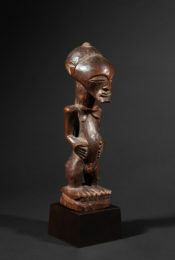 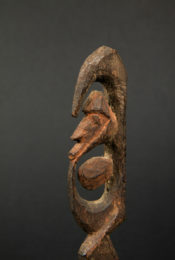 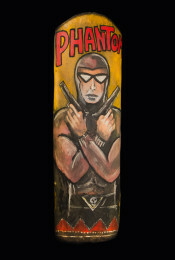 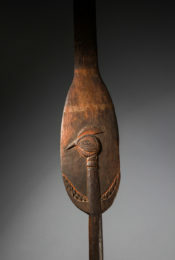 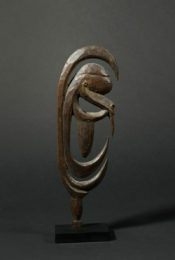 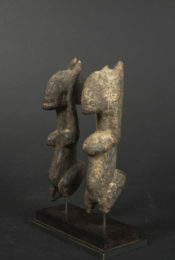 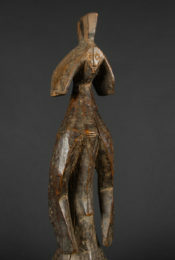 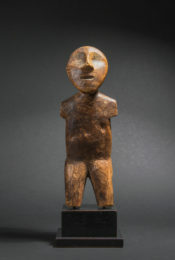 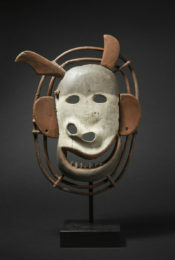 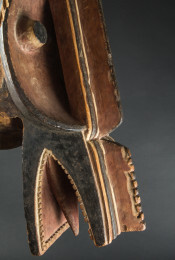 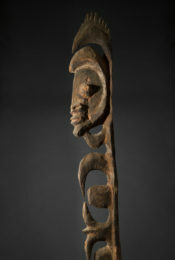 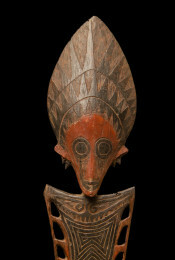 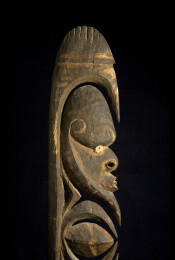 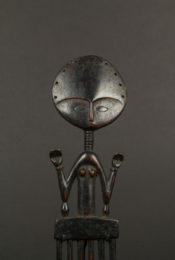 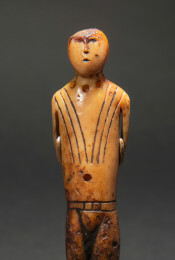 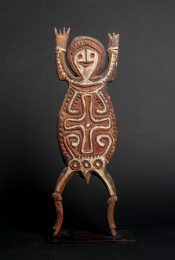 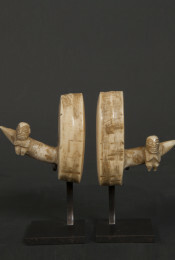 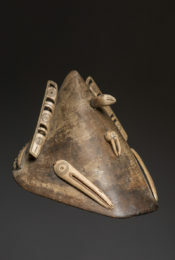 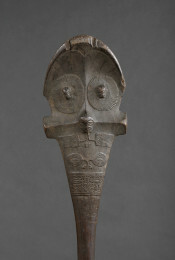 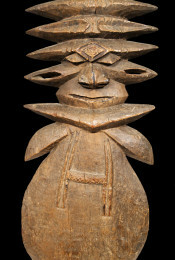 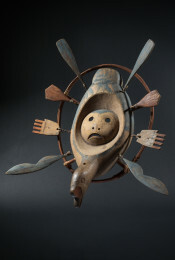 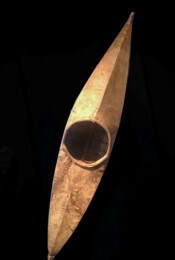 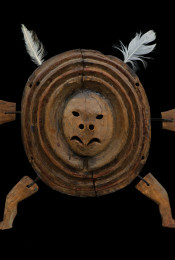 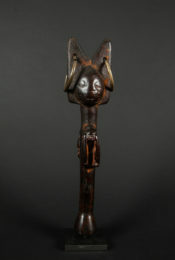 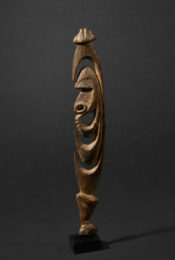 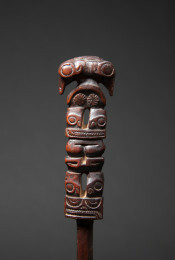 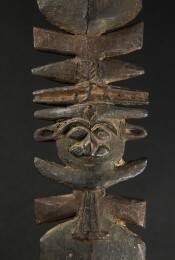 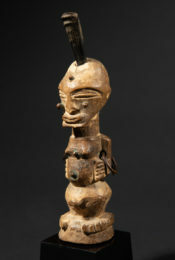 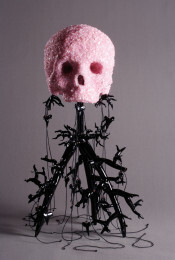 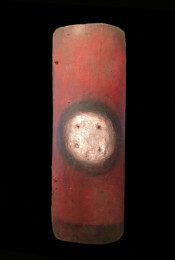 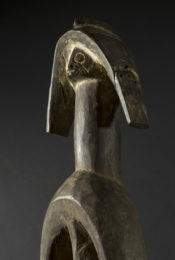 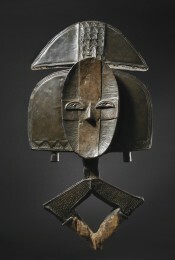 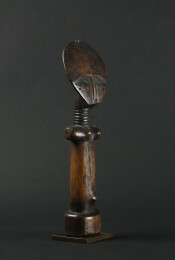 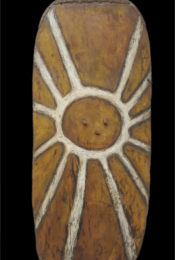 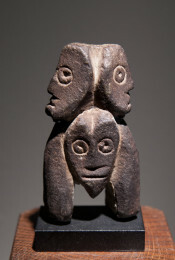 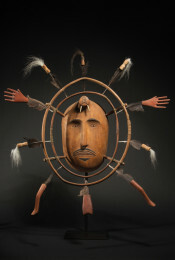 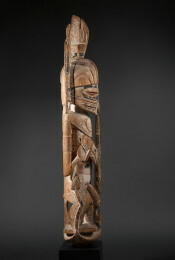 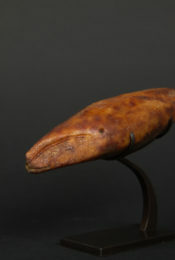 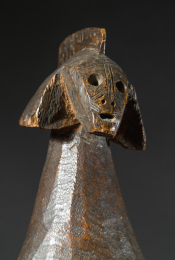 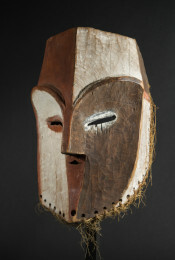 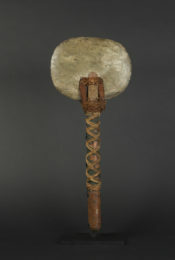 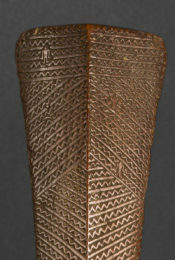 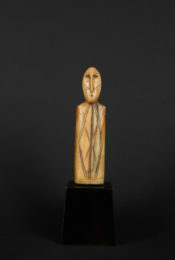 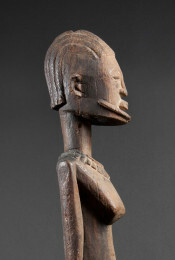 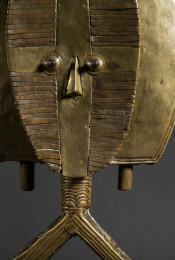 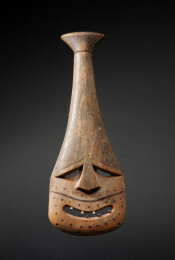 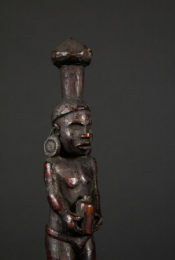 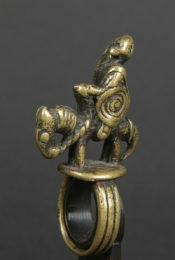 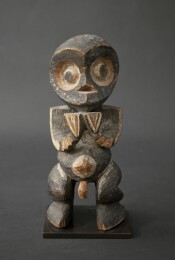 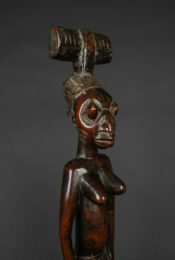 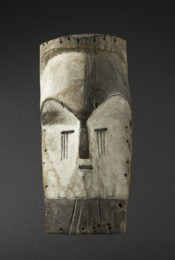 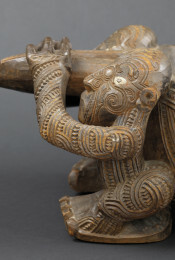 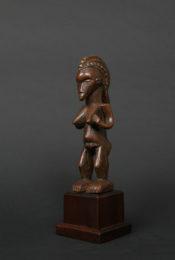 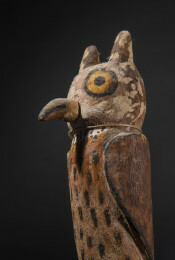 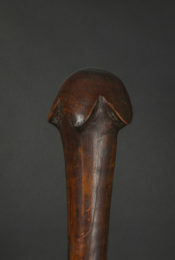 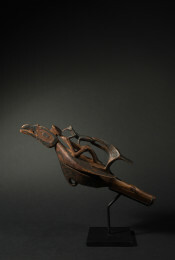 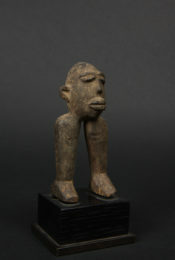 The figure is shown head-on, its head leaning to the left, and sticking its tongue out – the symbol of the power of the warrior in Maori art. 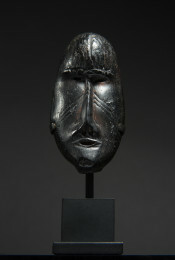 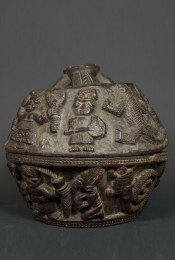 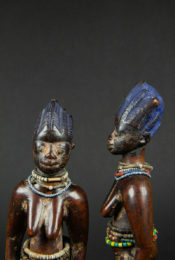 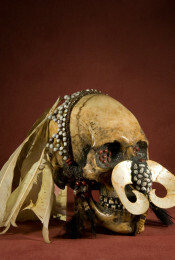 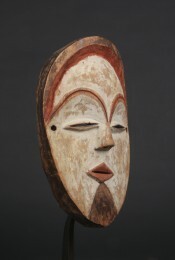 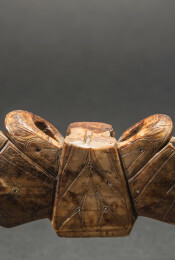 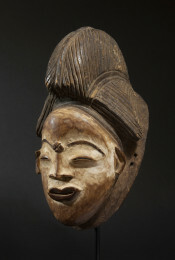 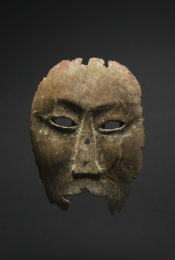 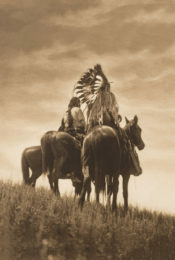 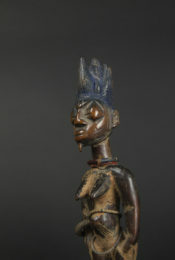 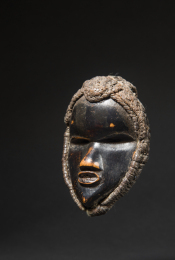 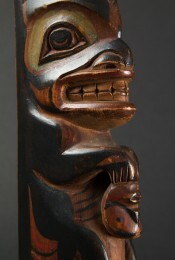 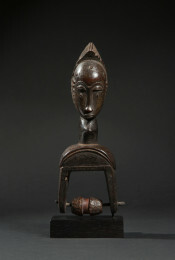 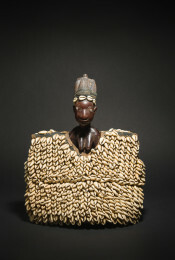 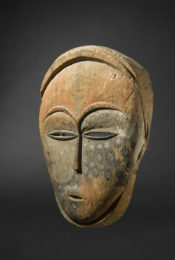 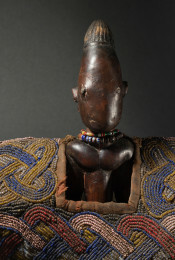 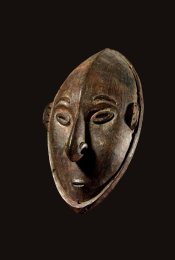 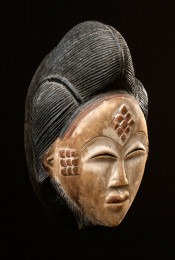 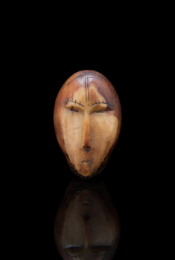 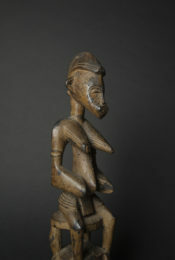 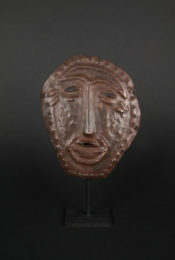 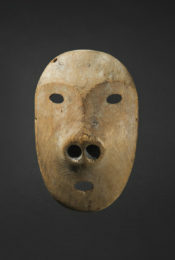 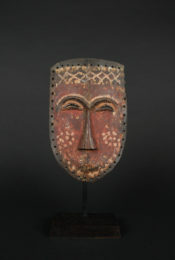 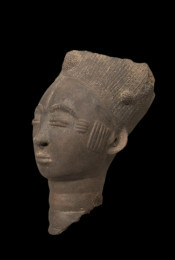 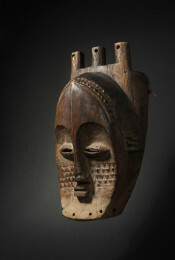 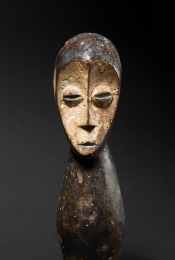 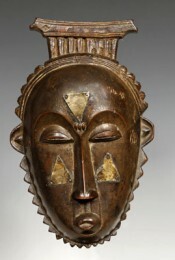 The facial features (bridge of the nose, mouth, eyes) are delicate, carved deeply into the stone. 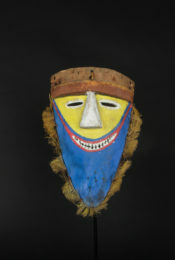 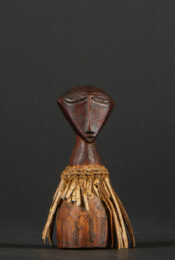 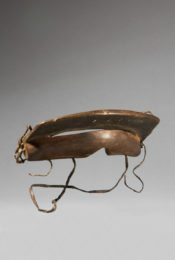 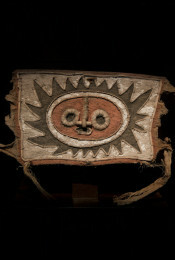 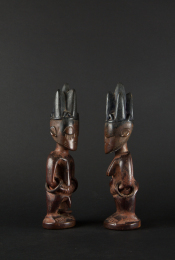 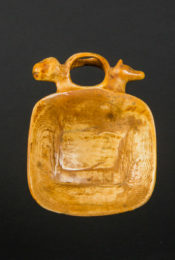 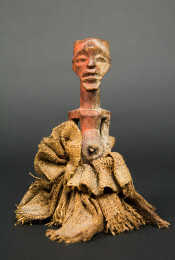 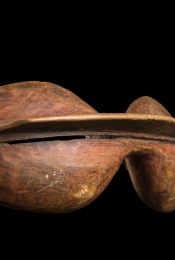 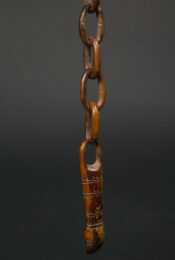 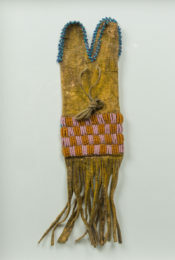 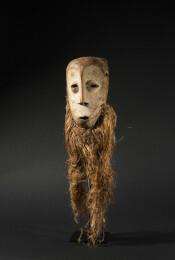 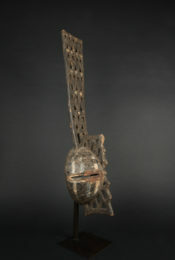 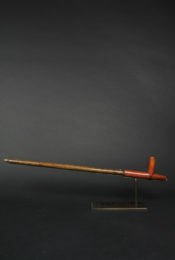 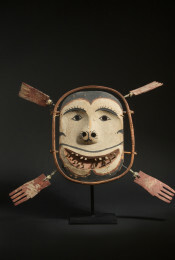 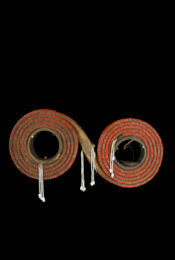 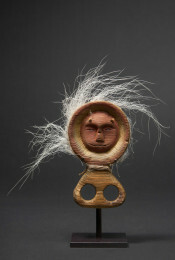 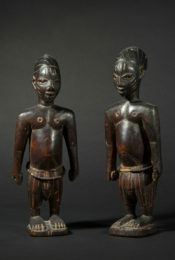 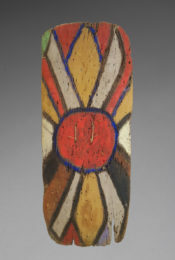 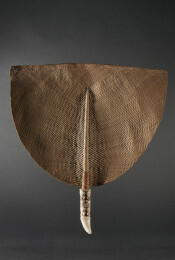 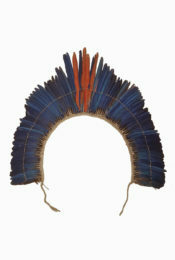 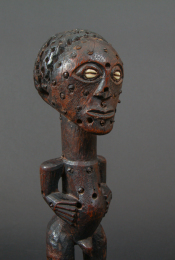 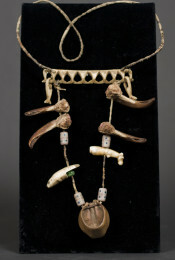 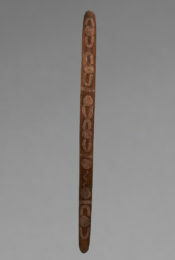 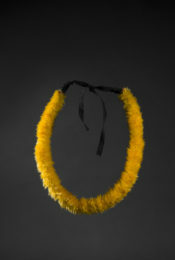 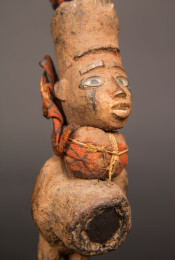 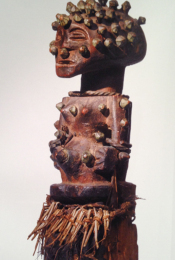 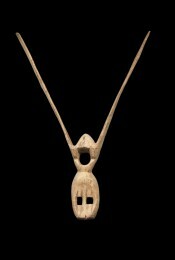 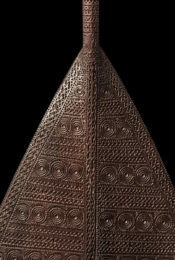 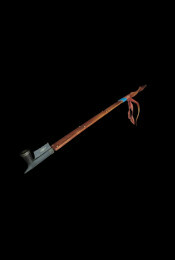 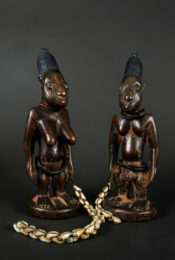 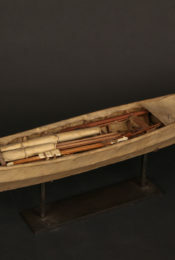 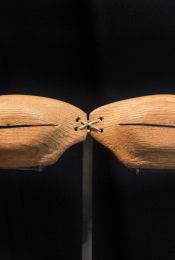 Hei Tiki were worn around the neck on a narrow cord of woven fibers. 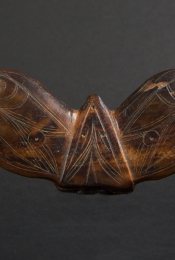 These ornaments were prestigious, and were transmitted from generation to generation, which explains the patina from use and the marks from wear at the angles of the sculpture and around the hole where the cord was passed. 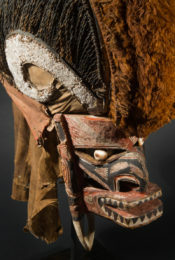 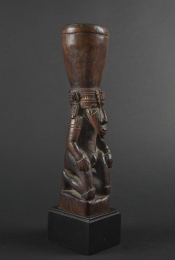 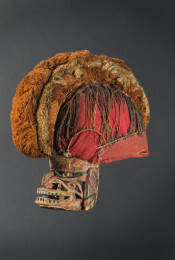 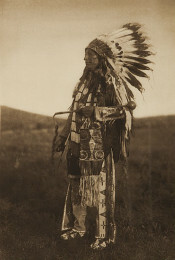 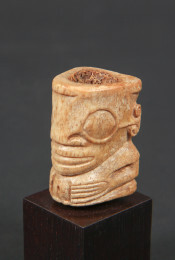 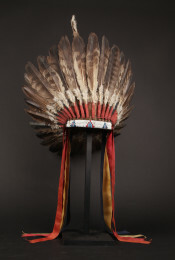 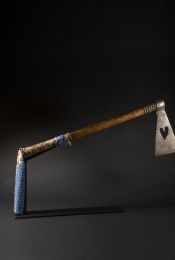 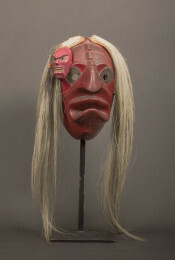 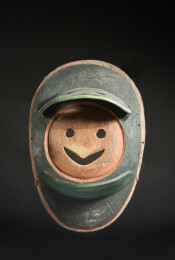 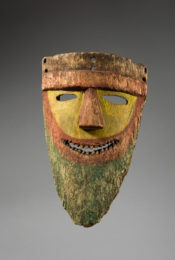 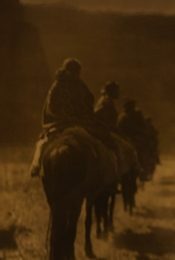 Hei Tiki were supposed to confer the protection of the ancestors of the clan to the wearer, with the clan’s affiliation going back to the first man, the Tiki.